Good morning, you are a young achiever! Notification sounds on my Galaxy Note 2.The vibration follows. 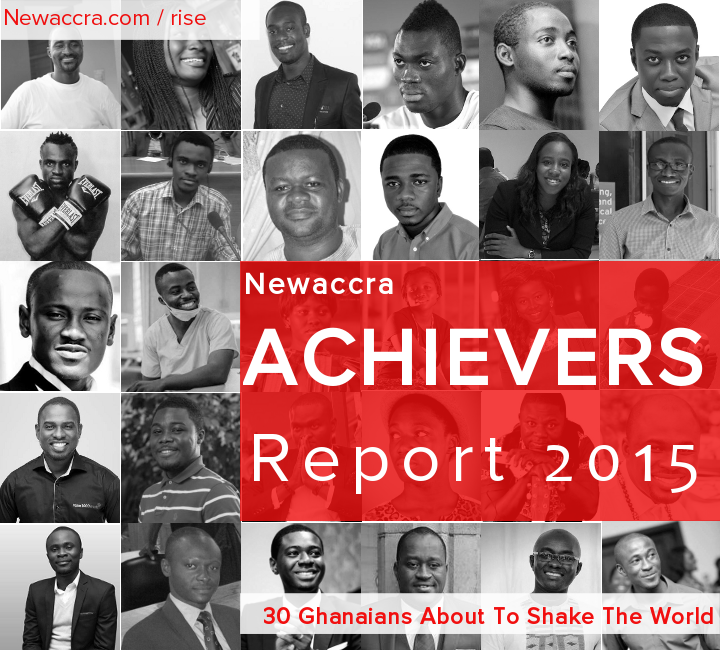 Newaccra.com, a “leading success and personal development brand” had named me as a young achiever to watch out for in its annual ‘Newaccra Achievers Report’. It felt weird. Really it did. I am not sure what i had done to deserve to be on there. Yet, i was. According to the magazine, the compilation of unsung Ghanaians featured persons making impact and showing future promise in diverse fields. The 2015 edition honour sought to highlight thirty individuals from five broad groups- business and leadership, society and healthcare, competitive sports, literary and creative arts, and technology and media. Majority of the thirty achievers are entrepreneurs and twenty percent of the achievers are females.